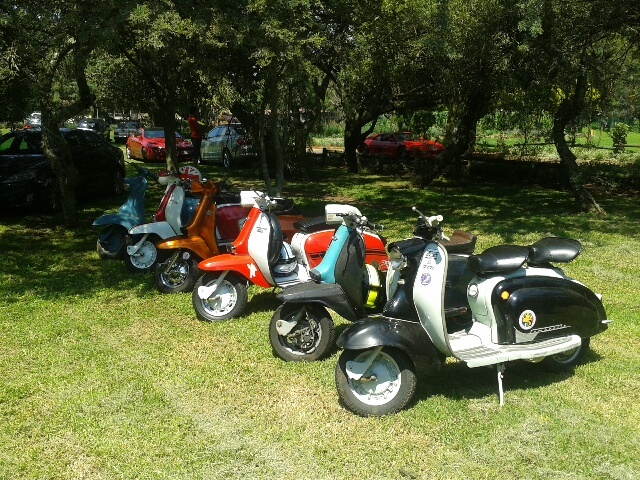 Andy from the Lambretta Club of South Africa sent me this pic of their Jo’berg rideout. Nice to se a couple of S1’s. He kindly informed me that it was 33°C… And although it’s not too chilly here in the UK at the moment, I’d trade a few of our Winter days for a day or two of that! This entry was posted in rideout and tagged Johannesburg, LCSA, rideout, South Africa by crocodilejock. Bookmark the permalink.